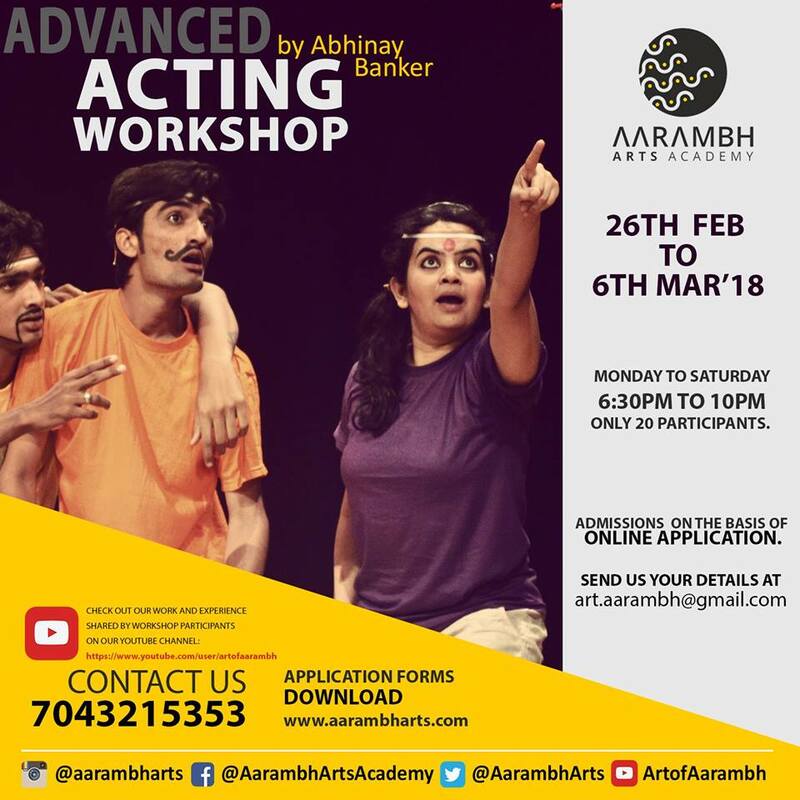 If you have basics knowledge of acting, then apply for our ‘Advanced workshop’ to sharpen your acting skills, Email us your work profile and your prior acting experience in theatre/ film/ television/ web series or any other medium, also if you have done any basic acting workshop in past, you are eligible to enrol for our Advanced acting class. Conducting the workshop will be a well known actor, director and screenwriter Abhinay Banker.  Mastering the tool and techniques of acting.  Dealing with emotions and expressions.  Detailed understanding of an actor’s body.  Transition of emotions, expressions and mood.  Understanding and building a character.  Crack your script – Understanding text, sub-text and script-o-meter.  Film screening: scene analysis and decoding actors’ techniques.